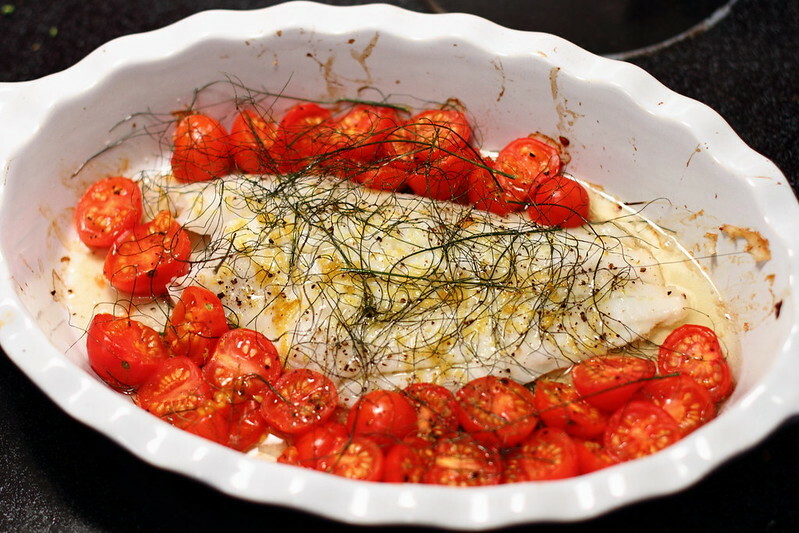 A couple weeks ago, a friend of mine brought over turbot fillets for dinner and showed me a delicious (and easy) way to bake them with cherry tomatoes and lemon zest. We also added fennel sprigs, since the fennel plants in my garden are going nuts right now. All of these flavors go really well with delicate white fishes, so feel free to substitute with whatever you have available. Preheat oven to 350 degrees. 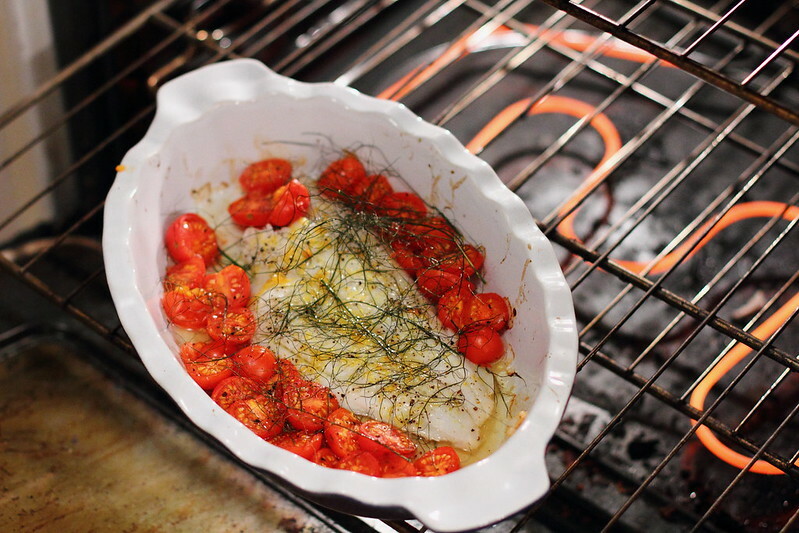 In a baking dish, layer half the fennel sprigs, the fish fillet, and lemon zest. Surround with cherry tomatoes. Sprinkle with the remaining fennel sprigs and salt and pepper. Drizzle with the grapeseed oil. Bake for 20 minutes or until firm and flakes with a fork. Enjoy! Omg, I'm definitely going to try this, it looks clean, simple and delish! I had something similar yesterday:) Looks delicious!